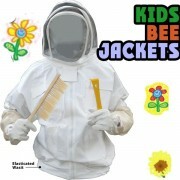 Now the little ones can participate helping save the bees. For a quick added protection, have the young exploers wear a jacket and step on up to help. Check out all the models.